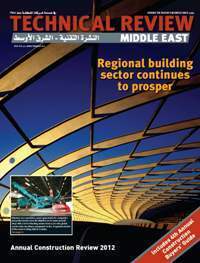 Over a period of 25 years, Technical Review Middle East has built an enviable readership of key decision makers and opinion leaders in business and government. The magazine's editorial content is accessible to both board-level opinion leaders and the specifier at the technical management level. Advertisers can, therefore, influence the complete management chain throughout the Middle East. a cost-effective way to reach the industry’s decision makers. – it is not just distributed in one city or one state – it has total regional coverage with copies distributed throughout the Middle East and North Africa.